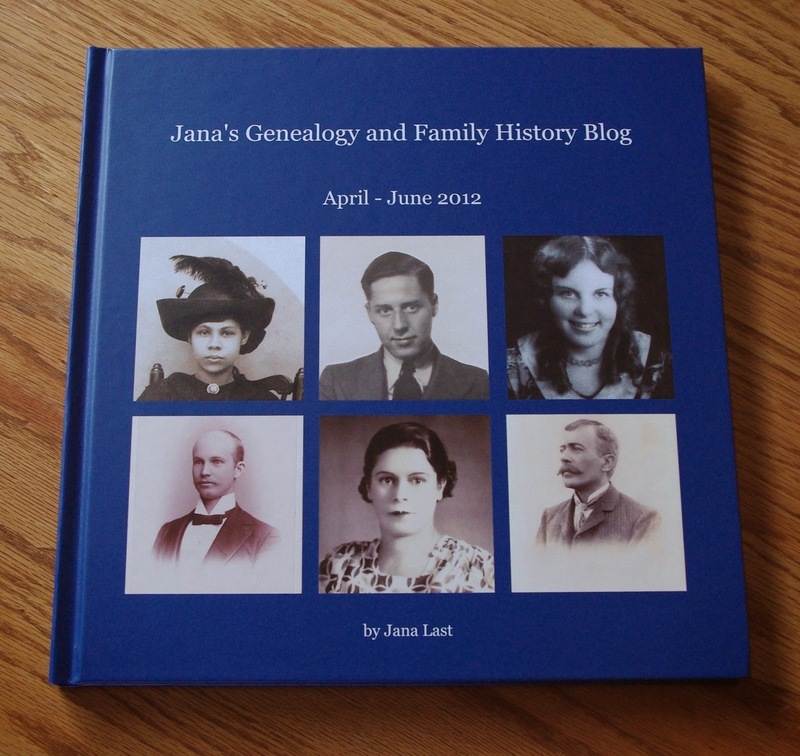 Jana's Genealogy and Family History Blog: My Blog Book is Here! My Blog Book is Here! In a previous post I told you about my blog book project that I had been working on. Well, I finished by blog book, ordered it, and it has already arrived! It came even sooner than the estimated delivery date. And I am so pleased with the way it turned out. Blurb.com did a fantastic job. 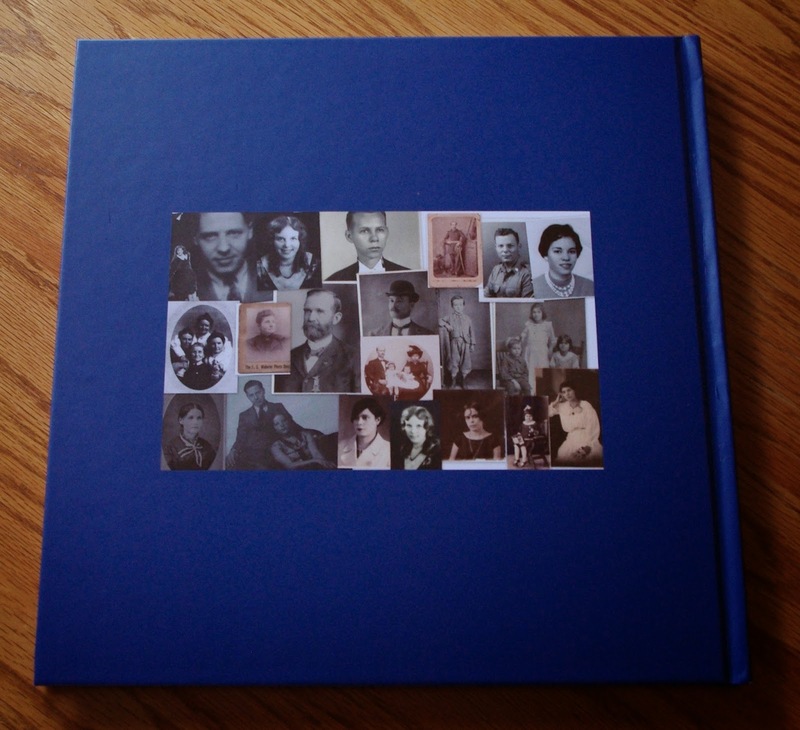 Here are a few photos of my completed book. I'm thinking of writing a blog post about the process of creating this book. But, that may have to wait a while because of my busy schedule at the moment. I still need to finish my presentation for the class I'm teaching at our local Family Discovery Day in May. I'm happy to say that I was able to finish and turn in my syllabus by the deadline. In addition to photos of my book, I also thought I'd share the preview of my book from Blurb.com. Oh my gosh Jana! Just love the little video of the book. I wonder if Blog2Print has that option? Good job!! Thank you! I really don't know if Blog2Print has the same option to embed the book preview on a blog or website. I never got far enough in the book-making process with them to find out. I preferred Blurb instead so I went with them. What a beautiful book Jana! It turned out so nice! The book really turned out well. Love it Jana. Did you insert the headers on each page or was that automatic? The headers were automatically generated on each page. Although every time I added a new page, I had to "tell" Blurb to add the header to the new page. It was actually very easy to do. I love it - great job!!! Congratulations, Jana. Your book looks so impressive - no wonder you are proud of it. Yes, I would certainly like to hear about the process, when you have time to tell us all about it. Oh, that's very nice! I'd love to hear about the process as well. Jana, that looks very nice. You have inspired me to make a print copy, in some form, of my blog. I see that Blog2Print sends the posts quickly & easily. I wonder if Blurb does the same. I use My Publisher for photo books often but I know I'd have to import one post at a time for that format. Thanks for sharing your book! Yes, Blurb can "slurp" blog posts to create a book, although apparently Blurb doesn't support importing from WordPress blogs for some reason. It looks great! I've done four of these now with Blurb, and am working on my fifth. Your blog readers are impressed , and rightly so as these take quite a longtime to put together; the result is well worth it I think. Thank you so much for your kind words. Wow! You've done four books with Blurb already. That's awesome! And you're so right. These books do take a long time to put together, but I believe the end results are well worth the time and effort. Thanks for stopping by! I've used Blurb for a number of family history books but haven't used the blog slurper yet. Looks like it turned out great for you. Congratulations!